Search "pink" 16 results have been found. White background with large scale Canna flower blooms in pink comforter set with sheets and pillows. The main print is a delicate floral pattern with white and blush pink blooms in an asymmetric design on a base gray cloth in 100% mifrofiber. With inspiration taken from a classic Siriano dress, this ombre print features a muted photo realistic pattern in gray and pink shades in several configurations for your home. Antique chevron lace print in a fun rainbow color scheme in 100% microfiber polyester comforter sets. 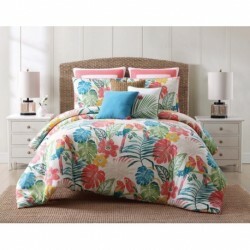 Classic framed flowers in bright paste pink, purple, yellow and green girls comforter set. 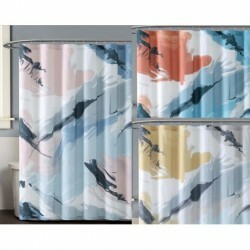 Bright palm prints dominated by a coral color with printed parrots in 100% cotton fabrics.